These printable mapping and direction worksheets teach children key geography concepts through pictures and clear text. 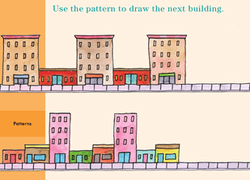 Students will learn about addresses, maps, cardinal directions, and more. Extend your child's learning beyond the classroom with these mapping worksheets and direction worksheets. Build spatial awareness in your youngster, and practise telling what's near and far from your home! How do you get to school each morning? Use this fun template to create a map to school. 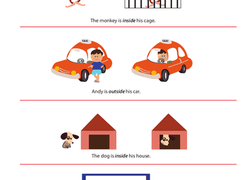 Preschoolers learn the difference between inside and outside on this colorful worksheet featuring monkeys, dogs, and a friendly cab driver. What does your bedroom look like? Help your preschooler create a map of her bedroom using these cute cut-outs. Give your child practise finding a simple sequence with this printable worksheet that will challenge his logic and maths skills. Is the horse in front of the fence, or behind the fence? This activity strengthens students' confidence in geometry by practising spatial recognition and positioning. Have some outdoor fun with your preschooler, and use these colorful cut-outs to map your neighbourhood! Where is your favorite place to play? Have some fun creating a map of your playground with this cute template. How is a rainbow made? 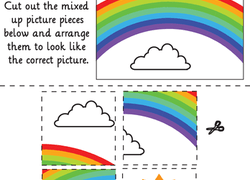 Your child will make a simple puzzle out of a rainbow by cutting along the dotted lines. Hunting for a worksheet the will flex your child's puzzle solving skills? 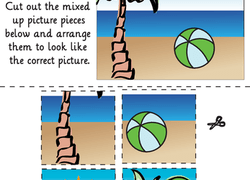 This printable is perfect for puzzle solvers, and planet lovers! Give your child practise completing a simple sequence of shapes with this printable worksheet that will develop his logic skills. 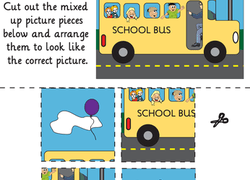 Children assemble a puzzle of a school bus by cutting along the dotted lines and matching the correct pieces. These dogs and cats just can't seem to figure out where to stand! They need some help sorting themselves out. 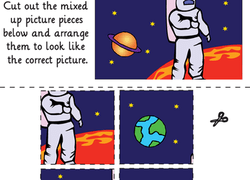 Your kid will make a simple outer space puzzle. After cutting out the puzzle pieces, he will then put them together in the correct order to complete the scene. 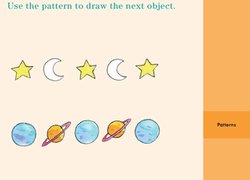 Looking for a worksheet that can help your child with his logic and reasoning skills? 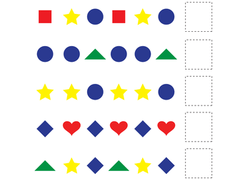 This printable will challenge him to find the pattern in a sequence. Looking for a worksheet to help your child help with his cutting skills? 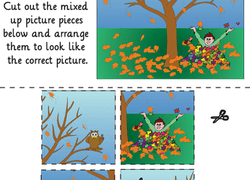 This year one printable is all about putting together a simple picture puzzle. 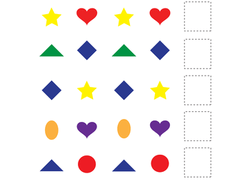 Looking for a worksheet to help your kindergartener with patterns? 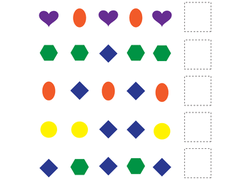 This printable is all about finding the pattern in a simple series! 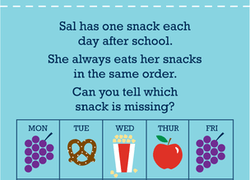 To complete this exercise she will need to look at the order the four different snacks are eaten in, and then figure out what snack is missing. 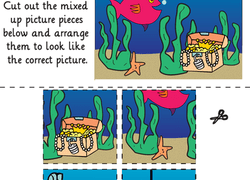 Help your child gain practise with his cutting skills with this year one worksheet that's all about putting together a simple picture puzzle. Help your child gain practise his cutting skills with this printable year one worksheet that's all about putting together a simple picture puzzle. To finish this worksheet you kindergartener will need to look at the series of letters and numbers on the teddy's shirt, and then decide what comes next.